For almost a century and a half, Seventh-day Adventists have provided spiritually sensitive health care to the sick and suffering. Providing health care allows us to extend the compassion of Jesus Christ, thereby bringing benefit to others as well as joy for ourselves through our service to God. In light of Adventism’s wholistic understanding of being human, care promoting physical or psychological well-being inherently implies supporting spiritual wellness. Consequently, in addition to the myriad of Adventist hospitals, outpatient clinics, skilled nursing facilities, and home-health and hospice agencies around the world, there are dozens of educational institutions training thousands of students to provide whole-person health care. Among these Adventist institutions of higher education are 75 Adventist schools of nursing. Europe and Australasia each have two; the rest are distributed throughout Africa, Asia, and North, South, and Inter-America.1 These schools of nursing, influenced by their Adventist distinctiveness, seek to prepare their graduates to provide wholistic nursing for body, mind, and spirit. Adventists are not unique in this regard—other Christian nursing schools (of which there are many) likewise may teach their students to provide spiritually sensitive care. Furthermore, many secular nursing programs (at least in several English-speaking Western countries) are including curricular content about spiritual care because of professional mandates. Thus, the purpose of this article is to briefly describe how spiritual care is taught in and outside of Adventist nursing schools. This exploration prompts conclusions that diverge from what some Adventist nurse educators assume. Recommendations are offered that can guide nurse educators and administrators in Adventist schools of nursing as they plan curriculum and provide instruction about spiritual care. First, however, in order to provide context, nursing perspectives about spiritual care will be reviewed. Regardless of causes, the notion of nurse-provided spiritual care is embedded deeply within the discipline. This is manifest in several ways. The International Council of Nurses’ Code (ICN 2012) states that “In providing care, the nurse promotes an environment in which the human rights, values, customs and spiritual beliefs of the individual, family and community are respected.”5 This intention is mirrored in nursing ethics codes in various countries, the goals of which are to preserve the rights of patients and prevent unwelcome care. Consequently, nursing programs must seek ways to teach and model spiritual care within the context of these guidelines. Diverse and creative teaching and learning strategies include journal writing, evaluating spiritual themes in artwork or patient case studies, shadowing chaplains, lectures (including guest lectures from representatives of faith traditions and chaplains), and various reading and writing assignments. The nursing literature is replete with discussions about the significance of supporting patient spiritual well-being. A November 2016 search of the database Cumulative Index to Nursing and Allied Health Literature (CINAHL) identified nearly 3,500 citations for publications since 1980 that included “spiritual*” OR “religio*” with “nurs*” in their abstract. (The asterisk allowed for searches to include variants of the search term such as religion, religiosity, and religiousness.) Some of this literature is pragmatic, describing how nurses can provide spiritual care; other documents explore spiritually related concepts in theoretical ways. Many nurses have included spiritual or religious concepts in research studies using both qualitative and quantitative methods. The nursing program accreditation standards in several nations (e.g., Canada, United Kingdom, Australia, and United States) include stated expectations that pre-licensure students will learn about assessing and addressing patients’ spiritual needs. For example, the 2006 Australian National Competencies stated that Registered Nurses (RNs) ought to: “Practice in a way that acknowledges the dignity, culture, values, beliefs and rights of individuals/groups.”8 It also then advised that RNs must learn to “collect data that relates to . . . spiritual . . . variables on an ongoing basis.”9 The 2008 American Association of Schools of Nursing Essentials of Baccalaureate Education for Professional Nursing Practice likewise expected undergraduate nursing education to teach students to: “Conduct comprehensive and focused . . . spiritual . . . assessment of health and illness parameters”; “Provide appropriate patient teaching that reflects . . . spirituality . . .”; “Develop an awareness of patients as well as health care professionals’ spiritual beliefs and values and how those beliefs and values impact health care.”10 Given the AACN mandate, the Registered Nurse licensure examination test bank consequently includes questions about spiritual care. Nurse educators in several countries (e.g., Israel, Korea, Malta, Netherlands, Taiwan, United Kingdom) have documented in published articles how they taught nurses about spiritual care. These reports often are either descriptions of workshops provided to hospital nurses with pre- and post-testing or descriptions of undergraduate courses or curriculum. Typically, content for such training includes a description of spirituality (which distinguishes it from religion), encouragement of personal spiritual self-awareness and well-being, spiritual needs of patients, assessment of patient spirituality, and an overview of spiritual-care therapeutics (e.g., presence, referral and collaboration with spiritual-care experts, empathic communication, respect for religious diversity). Assessment of these educational sessions or courses has often concluded that they increase nurse or student nurse spiritual well-being and improve attitudes toward providing spiritual care. 11 However, although attitudes about spiritual care are often assessed, spiritual care-related skills and/or knowledge are rarely evaluated. Although a few descriptions of how spiritual care is taught to undergraduate nursing students within a religious school exist,18 only one publication, to date, presents an Adventist example.19 In 2014, Taylor and colleagues described how the Loma Linda University School of Nursing (LLUSN) baccalaureate curriculum intentionally seeks to prepare its graduates to provide spiritual care. It does this in several ways, including adopting a conceptual framework that explicitly recognizes a spiritual dimension; integrating pertinent content about spirituality throughout the curriculum (e.g., learning spiritual assessment in the introductory fundamentals of the nursing course, and honing spiritual-care communication skills in a capstone course); using various teaching strategies (e.g., assigning a “blessings” journal, case studies, patient-care plans, self-reflection paper); modeling of spiritual care by clinical faculty while providing direct patient care; biannually holding a four-hour mandatory workshop on spiritual care, and creating a spiritually supportive environment (e.g., prayers offered with and for students, weekly chapel attendance, devotional time at the start of each didactic or clinical class). Instruction about spiritual care must include a recognition of its potential for harm when it is coercive or unethical. When nurses provide care, they are in a powerful position of caring for someone who, inherently in the role of being a patient, is vulnerable. What may be unique about the LLUSN program is that it purposefully evaluates graduating students’ perceptions of their spiritual-care competence in a brief quantitative survey; it also evaluates how these exiting students perceive their university experience in terms of nurturing their personal wholeness (including spirituality). To better understand how Adventist nurse educators around the world teach students to provide spiritual care, an e-mailed query was distributed to all program directors by the LLUSN Office of Global Nursing. (Since this was not a systematic investigation, no ethics committee approval was necessary.) Twenty-one schools responded from four regions of the world (the Americas, Africa, Asia, and North America). The schools represented had student populations that were 20-99 percent Adventist (nine were lower than 50 percent) and (except for four schools) all had faculty who were predominantly Adventist. Responses suggested that Adventist nurse educators assume that spiritual care is taught by spiritually or religiously nurturing students as well as by providing didactic instruction and clinical experiences. Adventist educators would likely readily agree with positions argued by other nurse educators such as Lewinson, McSherry, and Kevern20 that nurses cannot be expected to be aware and present, never mind therapeutic, to patients’ spiritual needs if they are not to some degree spiritually self-aware and intentional about their own moral development. Thus, Adventist nurse educators provide spiritual nurture through religious and spiritual experiences during school time (e.g., devotional experiences in class, Week of Prayer); faculty modeling (e.g., “I model how to pray with patients by praying with students,” or “Sharing experiences of God . . . students can sense that we have been with God for it is seen in our thoughts, actions, and words”); and encouraging religious behaviors outside of school time (e.g., visiting patients as part of a church-related “outreach” activity, engaging in Voice of Prophecy [Adventist] Bible lessons). Illustrating all these methods is an activity that one South American nursing school schedules each month. Students are invited to draw the name of a classmate, pray specifically for him or her for a week, and then at a Sabbath meal provided by their professor, share their recent spiritual experiences or prayer requests and offer a gift to the classmate for whom they prayed. Nearly all program directors also indicated that their programs included lectures on spiritual care (from nursing faculty and/or spiritual-care experts such as chaplains and clergy), assigned readings about spiritual care, case studies, and other course activities that taught spiritual care. Likewise, nearly all respondents acknowledged having a curriculum guided by a conceptual framework specifically recognizing spirituality. Most programs also had clinical assignments that gave students practical experience with spiritual care (e.g., spiritual assessment, developing care plans, praying with patients, listening to spiritual concerns without judging). Many described including spiritual care in community health fairs or projects (e.g., having a spiritual talk after a lifestyle presentation, praying with those seeking health or hygiene services). Prayer was central to much of the spiritual care taught; students were often taught to offer a prayer after other nursing care was completed or as an “intervention” for those in emotional distress. One school teaches nursing students to instruct patients in meditation and prayer techniques, as well as activities that allow emotional expression. Schools in countries with a strong Roman Catholic influence typically include not only prayer, but also singing (“serenading”) a Christian song and reading a Bible verse during visits with the sick. These illustrations of how spiritual care is taught in Adventist nursing schools around the globe portray how a Christian’s beliefs and behaviors often align, and how Adventist nurse educators live and teach compassionate service. Whereas the article in this issue by Mamier et al. (see page 26) describes what motivates Adventist nurse-provided spiritual care, this article will focus its observations and recommendations on factors that enhance and strengthen spiritual caregiving and teaching. Although the following points could be misinterpreted as admonitions to refrain from sharing God’s love, they are actually suggestions about how to more sensitively, respectfully, and ethically live out God’s love in practical ways. 1. Adventist approaches to teaching nursing students how to provide spiritual care vary with the cultural context in which each school is situated. In schools in Western pluralistic and individualistic cultures, content includes knowledge about many faith traditions and how nurses can respect and support patients of diverse faiths. In contrast, schools in Asia, Africa, and South and Inter-America often equate spiritual care with sharing Christian or Adventist beliefs. This raises the question of how cultural mores interrelate with ethical imperatives. I recommend that all Adventist schools teach students not to confuse spiritual care with evangelism, and to prepare students to sensitively acknowledge the unique spiritual needs of clients from diverse backgrounds. In any cultural context, wholistic care―indeed, care that reflects the compassion of Christ―should include laying a groundwork through empathetic conversation that opens up shared spaces of trust, respect, and genuine caring. Only then can a readiness be established for genuine spiritual care arising from the patient’s initiative. Once the client acknowledges an openness to receive spiritual care, the sincere ministry of the nurse in sharing God’s unconditional love and providing hope and comfort is more likely to be accepted and effective. 2. 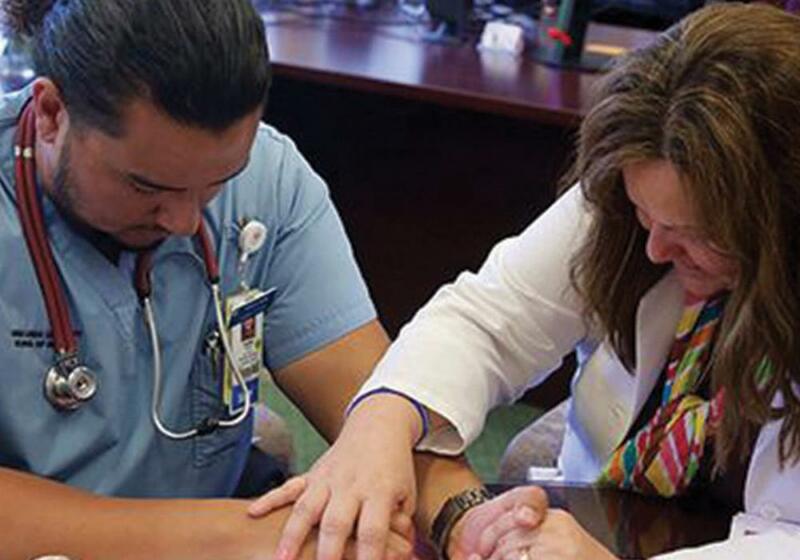 Prayer is frequently an Adventist nursing therapeutic. Adventist nurses who have prayed with patients tell many stories about its efficacy. Adventists, like most Americans, pray colloquially. Although times of physical or emotional extremis are often occasions when patients most appreciate prayer, they are not always conducive to colloquial prayer. As one nursing director reported, perhaps all nursing schools should teach students about the various ways to pray and meditate, and how to tailor prayer experiences to patient circumstances. 3. Although teaching spiritual care undeniably requires supporting student nurses as they mature spiritually, it also raises the question of how to do this ethically. When students enroll in an Adventist school, they implicitly agree to place themselves in an environment where they may be shaped by Adventist religious beliefs and practices. Schools ought to state their expectations in this regard (e.g., about attending weekly chapels, and religious emphasis in classes) for all prospective students. Faculty pressure on a student (no matter how sweetly applied) to attend a Friday night Bible study or other religious activity unrelated to school expectations, however, is inappropriate. It abuses the faculty-student relationship and suggests a self-serving religiosity. I recommend that faculty be sensitive to the possibility of students feeling coerced to participate in religious extracurricular activities and make such invitations in a way that avoids the potential for creating student discomfort. 4. Nurse educators also must be careful not to coerce students through assignments or obligations that are inconsistent with their beliefs (e.g., grading a student on whether he or she prayed colloquially with 10 pre-operative patients during a clinical rotation, if that student does not believe in prayer or prays in a manner that differs from the instructor’s expectations). 5. Instruction about spiritual care must include a recognition of its potential for harm when it is coercive or unethical. When nurses provide care, they are in a powerful position of caring for someone who, inherently in the role of being a patient, is vulnerable. Because of this power imbalance, some ethicists have argued that prayer or self-disclosure of religious beliefs should not occur unless a patient initiates a request for it.21 As Christian theologian and nurse ethicist Marsha Fowler stated, “by refraining from offering faith where it is not welcome, [nurses] affirm the freedom that must exist in faith.”22 Furthermore, the role of nursing is to address health problems; if a patient’s spirituality contributes to the problem or if it is a resource for addressing the health problem, then it is within the purview of nursing to provide care that is spiritually sensitive and supportive. The role of the nurse, therefore, is not that of a theologian, evangelist, or pastoral counselor. I recommend that the goals of Adventist nursing schools include not only helping students to clarify and mature their own spirituality, but also teaching them to support patients’ spiritual journeys in a manner that avoids any appearance of coercion. Teaching nursing students to provide spiritual care is a salient feature of Adventist nursing programs. It may be that this emphasis as well as the religious context of the teaching that make Adventist nursing education unique. The concern arises, however, about whether the spiritual care should be taught as evangelism. For Christian nurses, the answer varies: “No, if evangelism means trying (even subtly) to persuade vulnerable patients to believe the same way as do I. Yes, if it means reflecting the compassion of Christ in the holy work of nursing—being the hands of Jesus.”24 Indeed, Adventist nurse educators will benefit from continued reflection with their students about what it means for health-care workers to take the gospel into all the world. While it must be acknowledged that the distinction between spirituality and conventional religion (and thus between spiritual care and religious nurture) varies from culture to culture, there are certain universally recognized ethical considerations will apply anywhere. The author thanks Dr. Patricia S. Jones and Valerie Nusantara for their support in contacting Adventist educators around the world to obtain examples of teaching practices. I am also deeply grateful for the careful review of the manuscript provided by Drs. Jones, Iris Mamier, and Edelweiss Ramal; and for the anecdotal information from their programs that was provided by Adventist educators, graciously and generously shared for illustrative purposes in this article. Elizabeth Johnston Taylor, “Teaching Spiritually Sensitive Nursing Care: Recommendations for an Ethical Adventist Approach,” The Journal of Adventist Education 79:5 (20-25). Available from https://jae.adventist.org/en/18.1.4. Loma Linda University School of Nursing, “List of International Seventh-day Adventist Schools of Nursing” (2017): https://jae.adventist.org/en/2017.5.10. 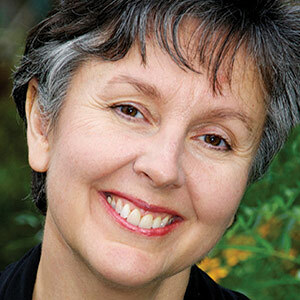 Mary Elizabeth O’Brien, Spirituality in Nursing: Standing on Holy Ground, 5th ed. (Burlington, Mass. : Jones and Bartlett Learning, 2014). Elizabeth J. Taylor, Carla G. Park, and Jane B. Pfeiffer, “Nurse Religiosity and Spiritual Care,” Journal of Advanced Nursing 70:11 (November 2014): 2612-2621. doi: 10.1111/jan.12446. O’Brien, Spirituality in Nursing: Standing on Holy Ground, 5th ed. ; Elizabeth J. Taylor, Spiritual Care: Nursing Theory, Research, and Practice (Upper Saddle River, N.J.: Prentice Hall, 2002). The ICN Code of Ethics for Nurses: http://www.icn.ch/images/stories/documents/about/icncode_english.pdf. T. Heather Herdman and Shigemi Kamitsuru, eds., NANDA International Nursing Diagnoses: Definitions and Classification, 2015–2017 (Oxford, United Kingdom: Wiley Blackwell, 2014). Elizabeth J. Taylor, “What Is Spiritual Care in Nursing? Findings From an Exercise in Content Validity,” Holistic Nursing Practice 22:3 (May-June 2008): 54-159. doi: 10.1097/01.hnp.0000318024.60775.46. Australian Nursing and Midwifery Council, National Competency Standards for the Registered Nurse (2006): http://www.nursingmidwiferyboard.gov.au/Codes-Guidelines-Statements/Professional-standards.aspx, 4. American Association of Colleges of Nursing, The Essentials of Baccalaureate Education or Professional Nursing Practice (2008): http://www.aacn.nche.edu/education-resources/baccessentials08.pdf., 31, 32. Katherine L. Cooper et al., “The Impact of Spiritual Care Education Upon Preparing Undergraduate Nursing Students to Provide Spiritual Care,” Nurse Education Today 33:9 (September 2013): 1057-1061. doi: 10.1016/j.nedt.2012.04.005; Elizabeth J. Taylor, Nancy L. Testerman, and Dynnette E. Hart, “Teaching Spiritual Care to Nursing Students: An Integrated Model,” Journal of Christian Nursing 31:2 (April-June 2014): 94-99. 13. Taylor, Park, and Pfeiffer, “Nurse Religiosity and Spiritual Care”; Kerry A. Milner, Kim Foito, and Sherylyn Watson, “Strategies for Providing Spiritual Care and Support to Nursing Students,” Journal of Christian Nursing 33:4 (October-December 2016): 238-243. doi: 10.1097/cnj.0000000000000309. Taylor, Spiritual Care: Nursing Theory, Research, and Practice ; __________, What Do I Say? Talking With Patients About Spirituality (West Conshohocken, Penna. : Templeton Press, 2007); __________, Religion: A Clinical Guide for Nurses (New York: Springer, 2012). 15. Fiona Timmins et al., “Spiritual Care Competence for Contemporary Nursing Practice: A Quantitative Exploration of the Guidance Provided by Fundamental Nursing Textbooks,” Nurse Education in Practice 15:6 (November 2015): 485-491. doi: 10.1016/j.nepr.2015.02.007. Danielle Rodin et al., “Whose Role? Oncology Practitioners’ Perceptions of Their Role in Providing Spiritual Care to Advanced Cancer Patients,” Support Care Cancer 23:9 (January 2015): 2543-2550. doi: 10.1007/s00520-015-2611-2; Barry S. Gallison et al., “Acute Care Nurses’ Spiritual Care Practices,” Journal of Holistic Nursing 31:2 (June 2013): 95-103. doi: 10.1177/0898010112464121; Wilfred McSherry and Steve Jamieson, “The Qualitative Findings From an Online Survey Investigating Nurses’ Perceptions of Spirituality and Spiritual Care,” Journal of Clinical Nursing 22:21, 22 (October 2013): 3170-3182. doi: 10.1111/jocn.12411. Jewish: Laurie H. Glick, “Nurturing Nursing Students’ Sensitivity to Spiritual Care in a Jewish Israeli Nursing Program,” Holistic Nursing Practice 26:2 (March/April 2012): 74-78; Latter-Day Saints: Lynn C. Callister et al., “Threading Spirituality Throughout Nursing Education,” Holistic Nursing Practice 18:3 (May 2004): 160-166; Roman Catholic: Donia R. Baldacchino, “Teaching on the Spiritual Dimension in Care to Undergraduate Nursing Students: The Content and Teaching Methods,” Nurse Education Today 28:5 (July 2008): 550-562. Lesline P. Lewinson, Wilfred McSherry, and Peter Kevern, “Spirituality in Pre-registration Nurse Education and Practice: A Review of the Literature,” Nurse Education Today 35:6 (June 2015): 806-814. doi: 10.1016/j.nedt.2015.01.011. 21 Taylor, Religion: A Clinical Guide for Nurses . Marsha D. M. Fowler, Guide to the Code of Ethics for Nurses With Interpretive Statements, 2nd ed. (Silver Spring, Md. : American Nurses Association, 2015), 85. Taylor, Religion: A Clinical Guide for Nurses . __________, “Spiritual Care: Evangelism at the Bedside,” Journal of Christian Nursing 28:4 (October 2011): 194-202.